The new Land Rover Discovery Sport will get a revised fascia and will get new dual touchscreens which are seen on all the new-age Land Rovers. Majority of the changes will be made to the face of the New Land Rover Discovery Sport. The new Land Rover Discover Sport gets a revised face. The test-mule is seen riding on a new set of matte black alloy wheels. The design alterations at the rear are hidden under concealment panels. 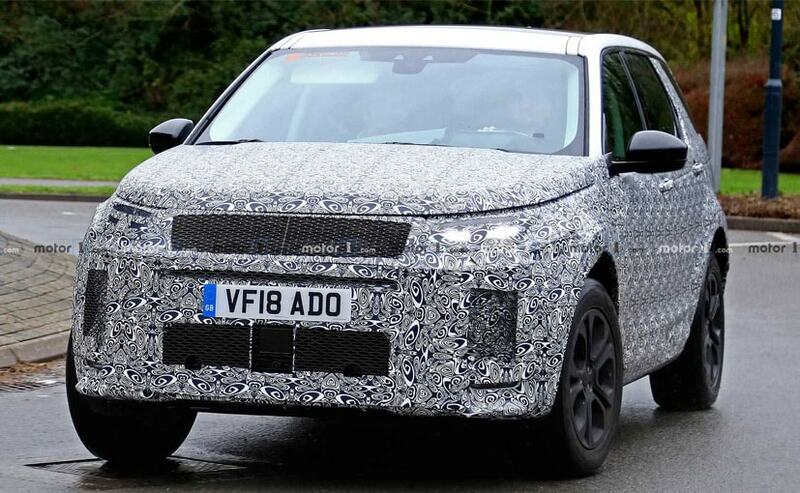 A new set of spy shots of the new Land Rover Discovery Sport have surfaced online which shows the test mule wearing heavy camouflage. The new Land Rover Discovery Sport is likely to get a major update and will get some of the new equipment which we have seen in the new age Land Rovers. While the camouflage has hidden major design elements of the new model, we can still make out some of the changes made to its face. The test mule of the new Land Rover Discover Sport rides on a new set of alloy wheels which are finished in matte black. For starters, the bumpers seen on the test mule seems to be new and is larger than the one the current model has and has a different profile. For instance, the centre air-dam and side air-ducts are wider and taller. The grille on the test mule has been kept entirely under cover but from the dimensions of it looks sharper on the edges. Moreover, we even cannot make out any change made to the layout or motifs of the headlamp cluster, but they look sleeker than those seen on the current model. 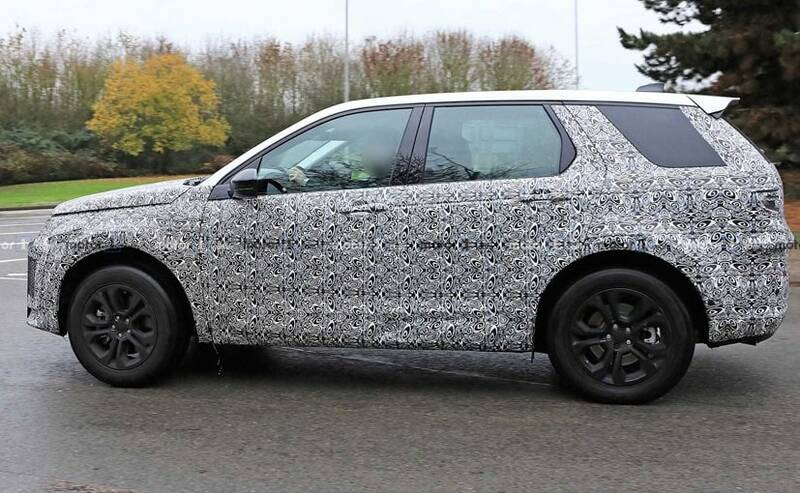 The side profile of the new Discovery Sport looks identical to the current model. 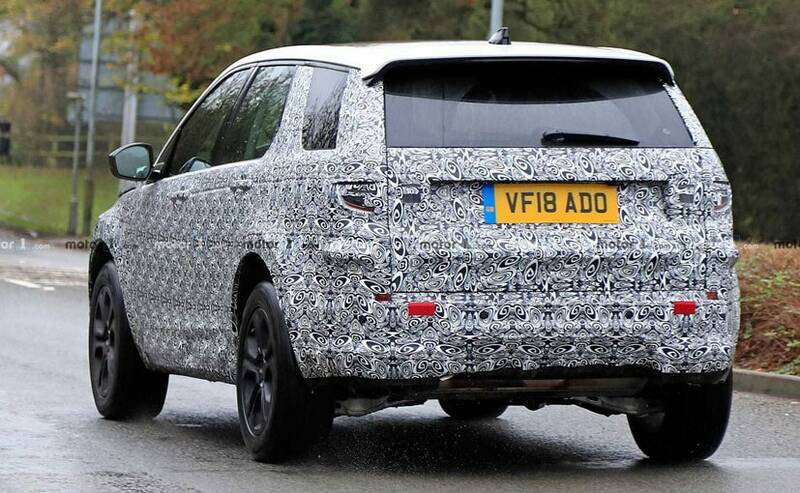 However, the rear bumper and lower segment of the boot gate of the test mule have worn concealment panels which hint at a slightly tweaked design. Moreover, the design of the alloy wheels is different and they are finished in matte black. The changes made to the rear profile are hidden under concealment panels. Expect the cabin of the new Land Rover Discovery Sport to get dual touchscreens like the one seen on all the recently launched Land Rovers. The new Land Rover reportedly is being developed on a revised version of the current platform in a bid to accommodate batteries for the plug-in hybrid drivetrains. While there will multiple engine options available in the global market including a 1.5-litre three-cylinder motor, Land Rover is likely to continue with the same engine in the Indian market until an entirely new model is launched in 2022. The engine which is on offer in the Indian market is a 2.0-litre, four-cylinder diesel motor which develops 148 bhp and 382 Nm of peak torque in the Pure and SE variants and 177 bhp and 430 Nm of peak torque in the top end HSE variant.